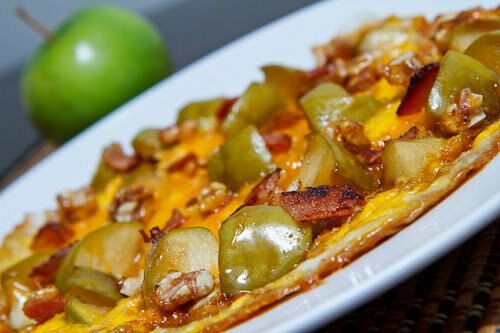 Eggs, Apples, Cheese and Bacon. All delicious on their own - and extra delicious when served together. There are many dishes that use these ingredients together, and here are just a couple for you to consider. At localkitchenblog.com this blogger serves this delicious combination as pictured above. 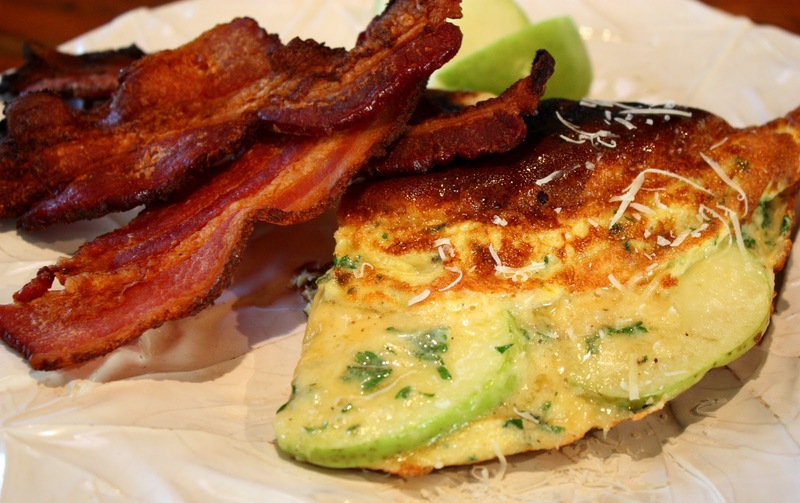 She uses Asiago cheese and green apples, then serves it with chipotle bacon. You don't really need a recipe to take advantage of this combination, just a bit of imagination. Start with a basic omelette or scrambled eggs. Add some grated cheese, some chopped apple, and some cooked bacon. Use whatever you happen to have on hand. It's a great delicious way to use up those odds and ends in your fridge.